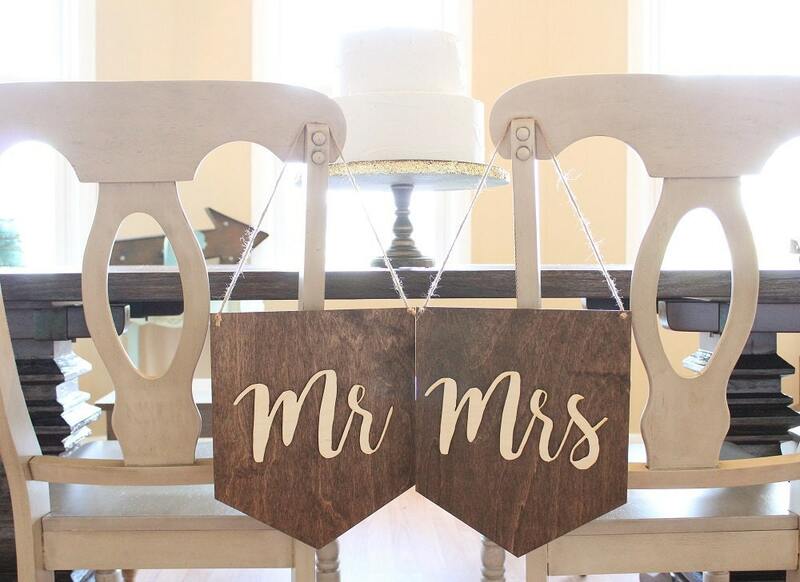 This adorable set of rustic Mr and Mrs banner chair signs will make the perfect addition to any wedding.! 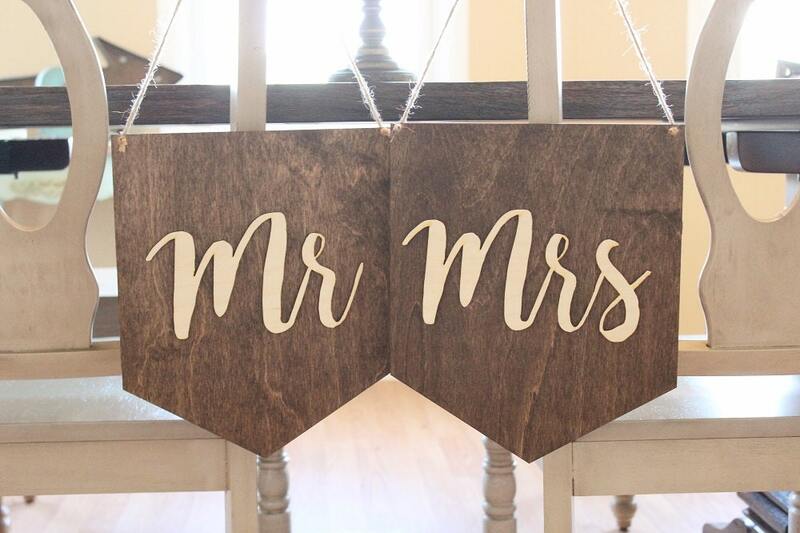 The Mr and Mrs lettering measures: 4" high and is left unfinished, The lettering is applied to the banner giving each sign that pop and unique look. 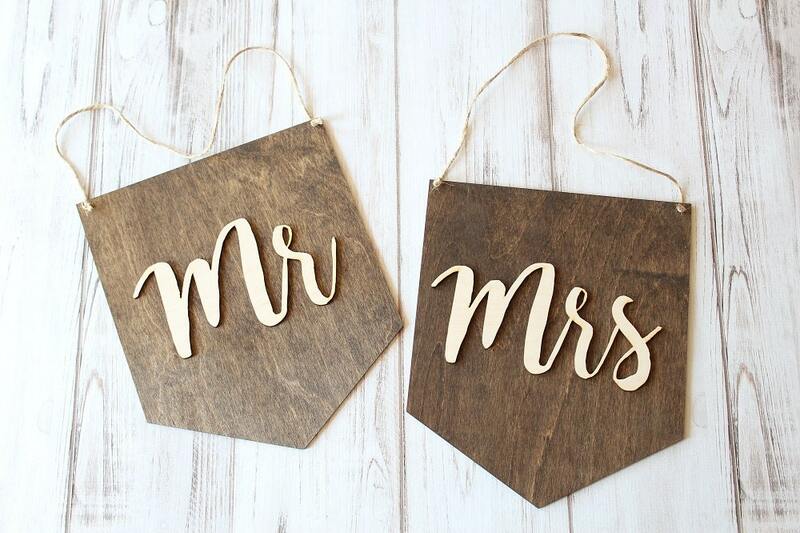 Please contact us with any custom ideas or questions.! 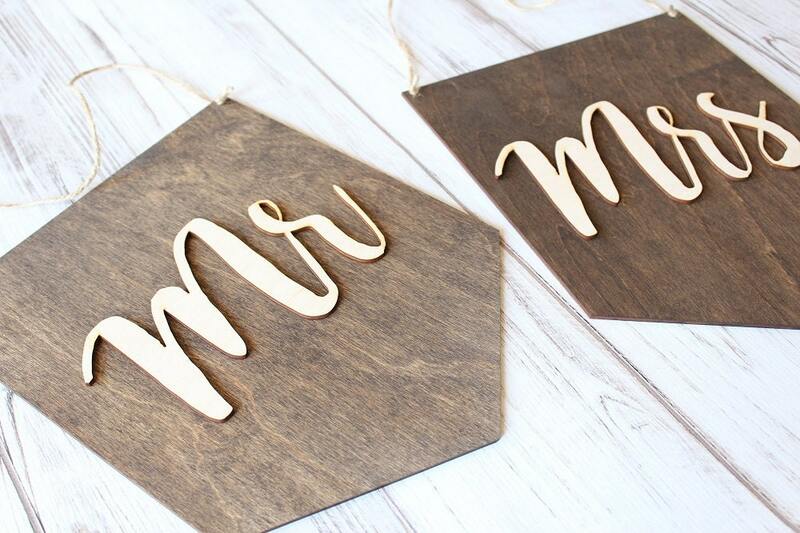 These were great for engagement photos and will be used on the day. 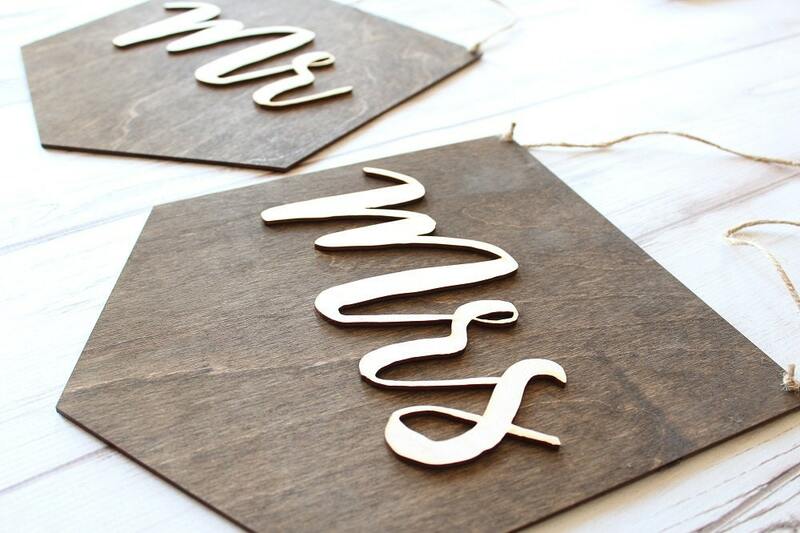 Very nice quality too.